Today we move back to the upper Midwest (my part of the country) to North Dakota as I continue through the list of high school state championship venues. The track today is located inside the Bismarck Community Bowl. This truly is a community facility, because besides hosting the state track & field meet, it serves as the home stadium of four different high schools, and two colleges! This area was used as a practice field starting in the early ’60’s. The latest and biggest renovation was completed in 1997. 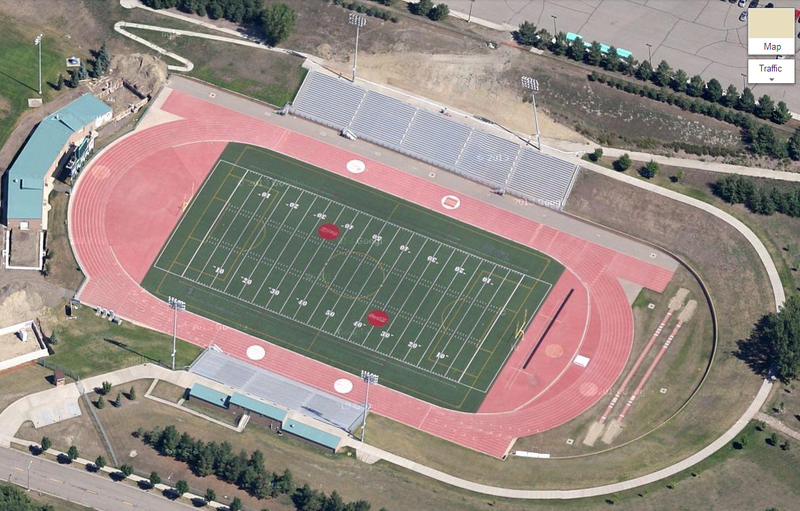 It is actually located on the campus of Bismarck State College, but the Mystics do not have a track & field team. Too bad! The state meet was just held here this past weekend, with prelims being held on Friday, and then finals on Saturday. They have two classes for track and field. Here are the results.